The many debating formats around the world bring with them some very interesting aspects. For instance, Lincoln-Douglas Debate in the USA is contested by individual speakers instead of teams and features a lively cross-examination section. American Policy Debates feature debaters speaking at incredible speeds of up to 600 words per minute. British Parliamentary is unusual in that it has 4 teams contesting a motion instead of just 2. American Parliamentary largely allows for Proposition teams to run whatever case they want, including those where the opponents are allowed to choose which side they will prefer! The common denominator for all of these formats, however, is that the debaters will need to argue strongly, rebut effectively and speak persuasively in their speeches. 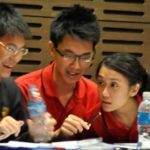 This website focuses on the World Schools Debating Championships Format. The WSDC Format is fast becoming one of the most popular styles in the world. The inaugural WSDC in 1988 in Australia featured 6 participating countries. The 2010 WSDC in Doha Qatar featured 57 countries taking part; many of them represented by Debaters who spoke English as a second or foreign language. The format rewards good teamwork in developing arguments of excellent depth and quality as well as argumentation from different perspectives and dimensions. The WSDC format places an equal amount of burden on both teams to address the motion through substantive arguments and the opponent’s arguments through rebuttals. It is also a highly interactive style, with the use of “Points of Information” to allow the debaters to engage each other even during speeches. Each debate comprises of eight speeches delivered by two teams of three members. The two teams represent the Proposition and Opposition sides respectively. 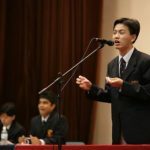 The first six speeches are eight minutes in duration, with each team then finishing up by giving a four-minute concluding Reply (Summary) Speech. (These are the time allocations used at the WSDC. At national and regional debating championships, the time allocation may be reduced). Some tournaments also allow for a two minute break before the Reply Speech for the Speakers on the floor to consult with the Reserve Team Members.